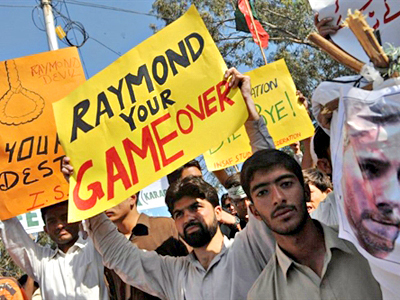 According to the Pakistani newspaper The Express Tribune, CIA contractor Raymond Davis has been thrown into jail in Lahore for masterminding terrorist activities in Pakistan. Davis is now pending charges for the murder of two men believed to be Pakistani intelligence officers. 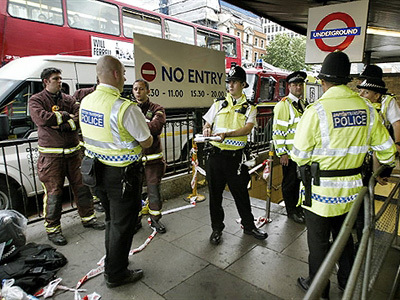 Senior police officers said the security agents revealed the contractor’s identity and were to be disposed of. 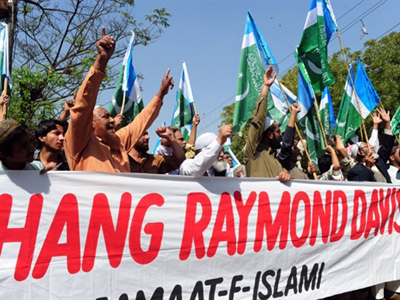 Raymond Davis’ close ties with the TTP (the Tehrik-e-Taliban Pakistan) has also been established. “Davis was instrumental in recruiting young people from Punjab for the Taliban to fuel the bloody insurgency.” the official told the Express Tribune. 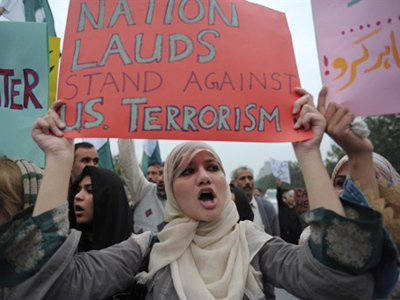 According to the police the man was exchanging phone calls with nearly 30 militants belonging to the banned Pakistani Taliban and Lashkar-e-Jhangvi groups. The same groups which both the US and Pakistan blame for the assassination of Prime Minister Benazir Bhutto and for the slaughter of a Wall Street Journal reporter. The news that the CIA contractor recruited for the Taliban came when the US was encouraging Pakistan to send military against Taliban forces near the Afghanistan border. The US is currently trying to remove Davis from Pakistani custody, citing diplomatic immunity and self defense against alleged armed robbers. The Pakistani intelligence service however argued Davis knew full well who the individuals were. According to sources in the Pakistani Foreign Office the US has been pressing them to forge the backdated list of the Embassy staff and include the Raymond Davis name into it. If his name appears on the list he would qualify for immunity for all of his activities while in Pakistan. However, when arrested Raymond Davis displayed a Department of Defense contractor ID and his name was missing in the list of Embassy workers submitted a week prior. A day after the incident the list was revisited and Raymond Davis was granted a new diplomatic passport in place of his regular one. Now a senior Pakistani intelligence official has been quoted in the local media saying he fears there are possibly hundreds of CIA contractors operating in the country.